In Baptism we receive new life in Christ. Baptism takes away original sin and gives us a new birth in the Holy Spirit. Baptisms are celebrated most Weekends after 5:30pm Vigil Mass on Saturday and after 10:30am Mass on Sunday. Please contact Fr John to arrange an appointment. Confirmation renews and confirms the promises which at Baptism were generally made on our behalf There is a special outpouring of the Holy Spirit just as there was on the Apostles at Pentecost. We are prepared for our life as full members of the church and are given special strength to witness to the Christian faith. Children at Catholic schools are prepared for Confirmation in their final year at primary school. Children, who are taught in non-Catholic schools, are helped to prepare by the Parish priest. The sacrament of Reconciliation, also known as Confession or Penance, is a sacrament of healing. 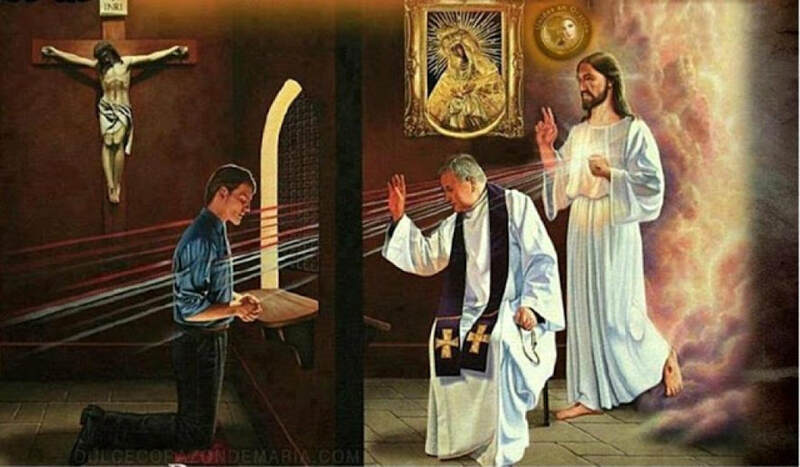 Following examination of conscience and repentance for sins, confession is made to a priest who, through the power of the Holy Spirit, forgives us our sins and reconciles us to God. A penance is imposed, usually in the form of prayer. Penitential Services are held in the parish twice each year, with one in Advent and one in Lent. This is the second sacrament of healing. It gives comfort, peace and courage to a sick person, preparing “the sick person for the journey to the Father’s house.” (Catechism of the Catholic Church 1520). It reminds the Christian community of its responsibility to care for the ill and dying.. The Sacrament of the Sick is for anyone who is suffering from a serious illness or who has grown weak and infirm through the passing of the years. Although the sacrament is not just for those who are dying,neither is it for someone who just has a cold. Through the Sacrament of the Sick, by God's grace, the church continues Christ's ministry of healing and responds to the call of the Apostle James to “send for the priests of the church” (James 5:14). If you know of someone who is sick and would like to be anointed please contact the hospital chaplain or let your priest know. The sacrament can be given more than once to the same person. If, for example, a person's condition deteriorates, or they recover and have a relapse or they grow weaker and more infirm (perhaps with old age); all these are situations when the sacrament would be given again. ​If you know of anyone too sick to attend Mass then also please contact the presbytery/ Parish Priest to arrange for the Blessed Eucharist to be brought to them. This is one of the two sacraments which confer a special grace for a particular vocation .The believer dedicates himself to serve God and the church. In this sacrament a man is ordained as a deacon, priest or bishop. Ordination to the priesthood enables the priest to act in the name of Christ, and consecrates him to preach the Gospel, to celebrate divine worship, especially the Holy Eucharist, and to act as a pastor to the faithful. This is the second sacrament for a particular vocation. Through the vows taken a man and woman are joined together for life. They are given the graces they need to share a Christian life of love and witness, open to creating and raising a family. 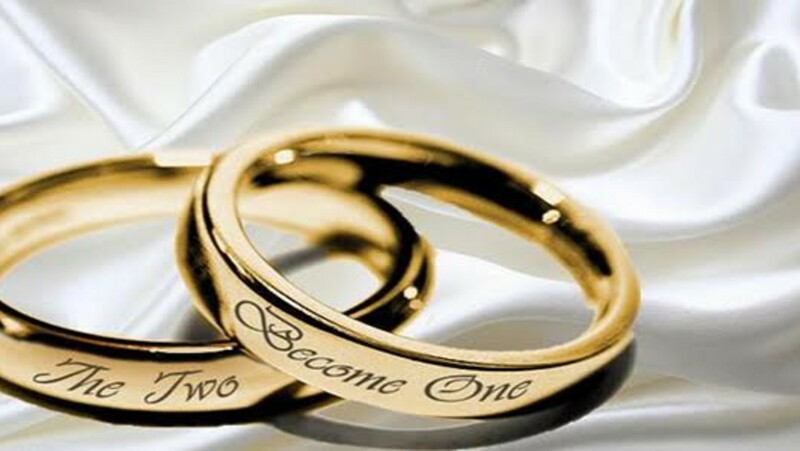 There are pre-marriage courses for couples who want to marry. Marriages - Please contact Fr John for an appointment.